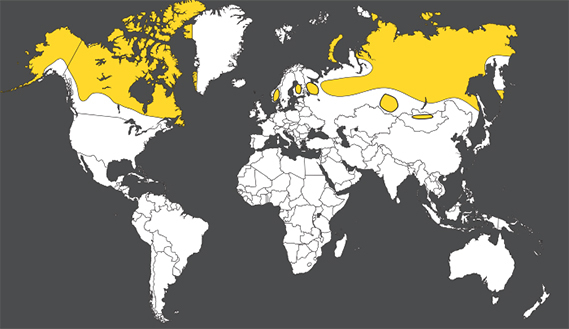 North American Caribou have the longest seasonal migration route of any terrestrial animal and may travel up to 5000 km each year! Migration routes often cross fast rivers, and with its bouyant, air-filled coat, the caribou is an excellent swimmer. 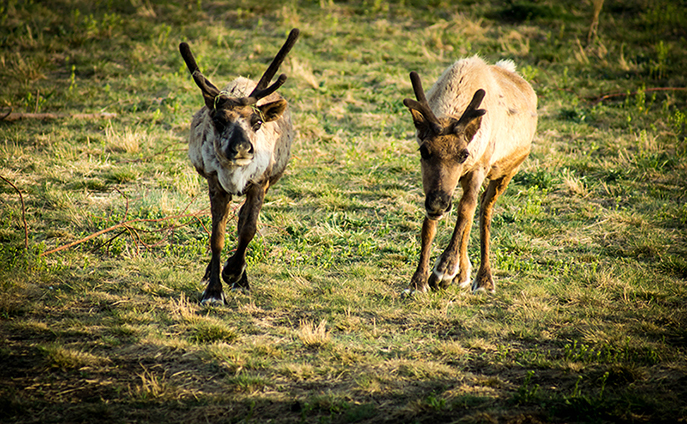 These animals are also great runners and by the time a caribou is one day old, it can already outrun an adult human. Both male and female reindeer grow new antlers every year.